Our view of Pluto has dramatically transformed with the first closeup images of the icy world from the New Horizons space probe. 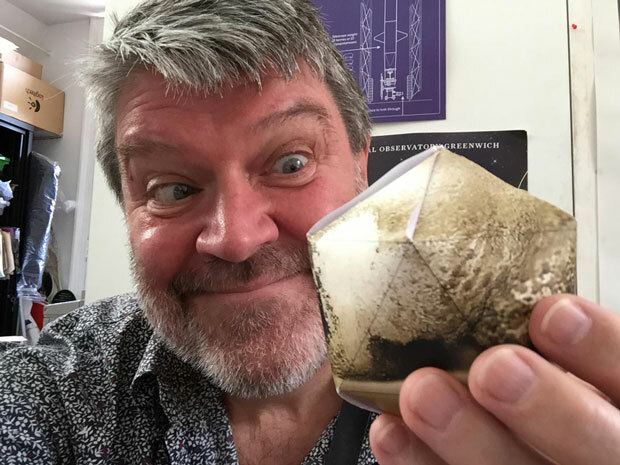 To help you find your way around the newly mapped surface of Pluto, Astronomy Now’s Greg Smye-Rumsby has created this print-and-build globe. 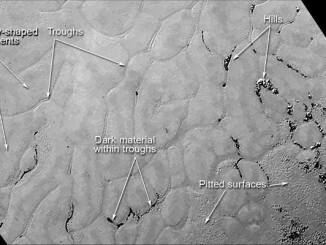 Features have been labeled with the unofficial names used by the New Horizons science teams. 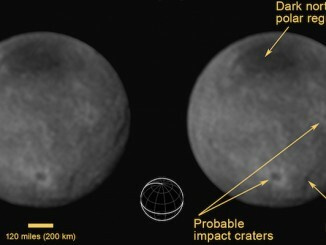 Hubble imagery has been used to fill gaps in New Horizons’ coverage of the southern hemisphere. 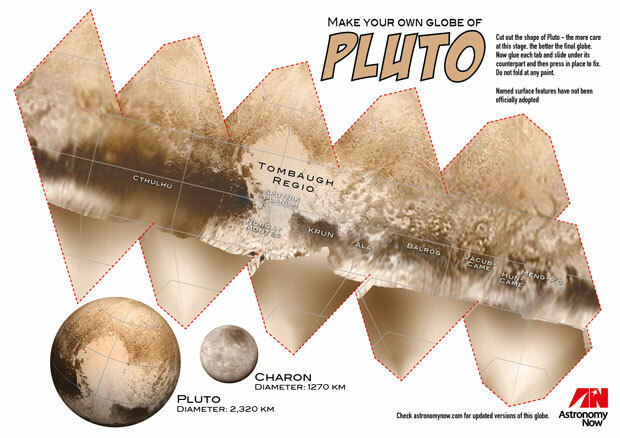 To assemble your Pluto globe, download our PDF file by clicking on the above image and print on light card or paper. Cut along the red dashed lines – the more care at this stage, the better the final globe. Now glue each tab and slide under its counterpart and then press firmly in place to fix. Make sure the glue is only applied to the tab itself. The last tab to be glued may take a little skill. Scissors or craft knives should be used with care. 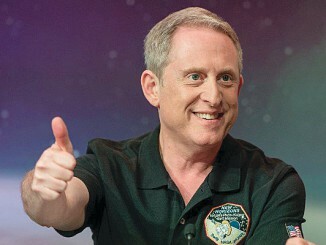 Astronomy Now’s Greg Smye-Rumsby admires a finished Pluto globe.